OTTAWA, Jan. 28, 2019 /CNW/ - Kinaxis® Inc. (TSX: KXS), provider of RapidResponse®, the recognized leader in digital supply chain management for concurrent planning, today announced that Dr. Anne Robinson has been appointed Chief Strategy Officer. Tasked to accelerate strategy development to help Kinaxis add further value for its customers, Robinson will work closely with customers, external stakeholders and the rest of the senior executive team on the strategic roadmap, emerging technologies, thought leadership and new industry opportunities. She will also support and enhance the company's continued leadership in its core market segments. "We are thrilled to welcome Anne Robinson to the Kinaxis team," said John Sicard, Chief Executive Officer, Kinaxis. "Anne has an impressive track record of delivering supply chain excellence across large, complex organizations. Her deep knowledge of our market's challenges and proven leadership in digital transformation of supply chains provides a perfect foundation to develop new strategies to help our customers and our business grow." Robinson has spent seven years at Verizon, most recently as Executive Director, Global Supply Chain Strategy, Analytics and Systems. In this role, she was responsible for the strategic vision of Verizon's global end-to-end supply chain, driving excellence through world-class data-analytics, process innovation and employee empowerment. Her work at Verizon markedly improved supply chain execution, working capital optimization and shareholder value. Before Verizon, Robinson spent several years at Cisco Systems where she was responsible for managing advanced analytics, business intelligence and performance management teams. 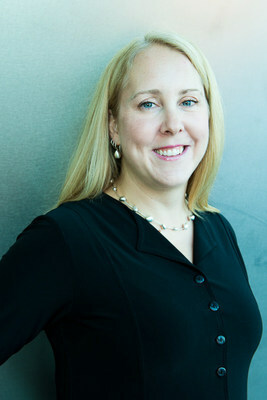 Notably, at Cisco, she developed and deployed sophisticated mathematical models to predict future product demand, enabled organizational transformation to focus on the customer value chain, and developed a customer-centric supply chain balanced scorecard resulting in improved operational performance and customer satisfaction. "I'm impressed with how Kinaxis continuously demonstrates leadership in the supply chain industry, from innovative and unique planning solutions to its focus on people and putting the customer first," said Robinson. "I'm excited to be joining such a dynamic team and look forward to working with them to achieve success for our customers, partners and for Kinaxis itself." Robinson is a past president of INFORMS (the Institute for Operations Research and Management Sciences), a seasoned industry speaker and has served on several advisory boards. Originally from St. John's, Newfoundland and Labrador, Robinson has a BScH from Acadia University, MASc from the University of Waterloo and an MSc and PhD in Industrial Engineering from Stanford University.